Carefree Waterfront Living! Don't miss wonderful competitively priced condominium home priced to sell today. Waterfront Living at it's Finest! 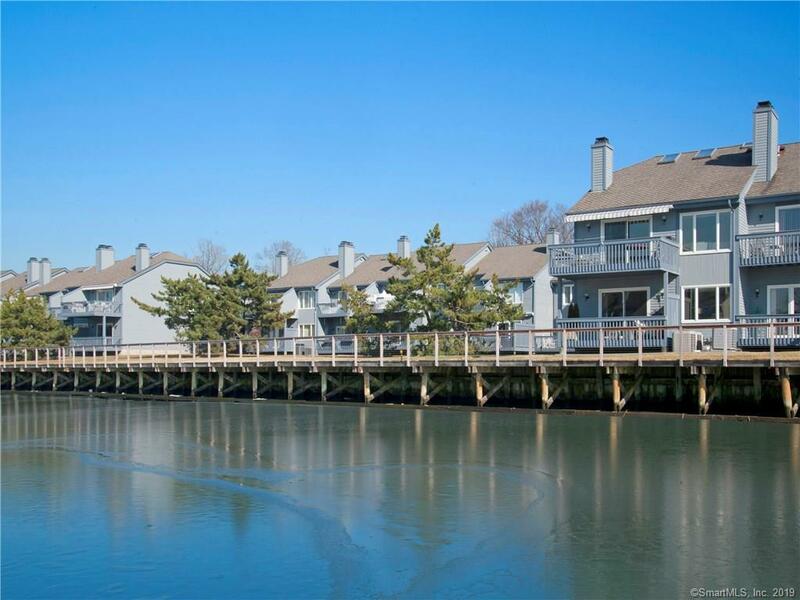 Welcome to Charles Cove - East Norwalk's Premier Waterfront Gated Community. Unit #10 has been lovingly cared for, tastefully updated, and in immaculate condition. Freshly painted in current designer colors and accents. This 3 Bed 2.5 Bath floor plan with living space on the main level and all 3 bedrooms upstairs is the most sought after floor plan in the development. The main level features all hardwood floors with an open and spacious living room and dining area with a wood burning fireplace and sliding glass doors to a wonderful deck overlooking the boat basin and waterway. Main floor highlights include a tastefully updated galley kitchen with rich chestnut stained wood cabinetry and a cozy breakfast nook, and a hallway powder room. The second level features a large Master Bedroom Suite with a vaulted ceiling, hardwood floor, second level outdoor deck with romantic western sunsets, large master bath with dual vanity, jetted tub, stall shower, and dedicated sauna room. Two additional nicely sized bedrooms one with a private deck, one full bathroom, and full sized laundry complete the second level. Moments from Calf Pasture Beach, Taylor Farm Park (dog park! ), and Shorehaven Golf Club. Just over 1 mile to East Norwalk Trains and a little over an hour to Grand Central Terminal., This unit is immediately available and priced to sell today!